Insurance software startup Zipari today announced the launch of its member Mobile App. Health insurance carriers will benefit from features that aid health plans in driving member retention and increasing member satisfaction through their mobile devices. The Mobile App is available to carriers and their members to download for smartphones and tablets. 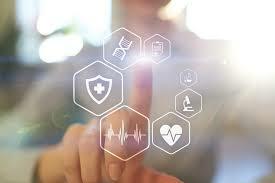 Health insurers will now be able to continue to enhance the member onboarding experience with biometric login verification, reduce administrative costs with chat-bots that guide members through a self-service user interface, help members find doctors and hospitals with integrated geo-location, and drive wellness initiatives. The core of Zipari’s software is the CX Engine. It uses predictive analytics to provide customer profiles based on consumer interactions. This in turn allows for personalized engagement with health insurance members. The CX Engine taps analytics to deliver next best action through omni-channel notifications that guide members through comprehensive workflows. Zipari integrates both payer and third-party systems and delivers a 360 degree view of any member. For more information on the Mobile App or to schedule a demo, visit zipari.com. Based in Brooklyn, New York, Zipari, is a technology startup that develops products for health insurance carriers to engage with consumers in new and innovative ways. Zipari now serves more than 10 million members via their payer customers. Their products provide real-time insights at every touchpoint, delivering a breakthrough consumer experience.